Permaculture, based on the concept of “permanent agriculture” or “permanent culture,” is a term coined by Australians David Holmgren and Bill Mollison in the 1970s. It describes a design system for creating human settlements that function in harmony with nature. Incorporating traditional knowledge, modern science, and the ecological patterns of the living world, Permaculture design is applicable to farms, gardens, organizations, housing developments, towns and villages, or city neighborhoods. 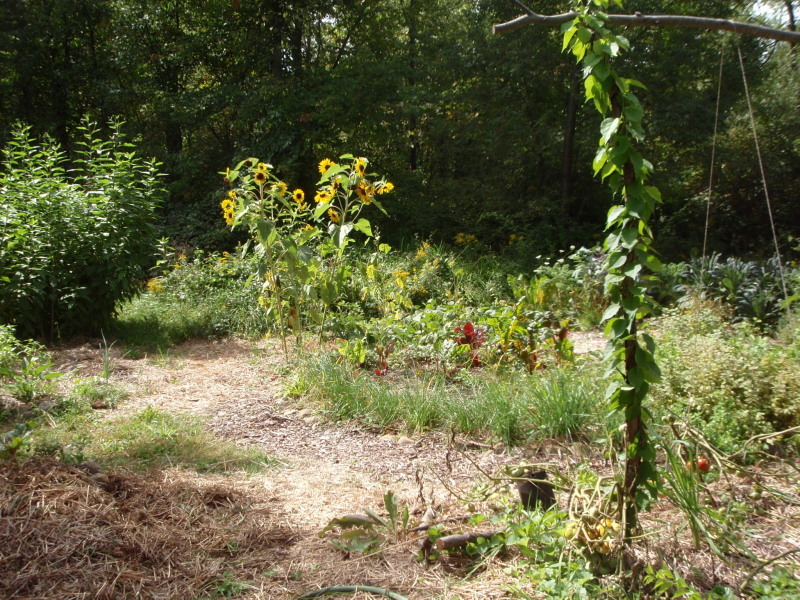 Permaculture Gardening is in development on the Strawbale Studio land outside Oxford, MI. Sheet Mulch has been applied to several garden beds for “Zone One” plants that need the most attention and are used on a frequent basis, such as chives, basil, arugula, tomatoes, and kale. A greenhouse is under construction for year-round food production. It is 12 ‘ x 20 ‘ and low-cost. Foods that are growing naturally on the property are being mapped and a list of their uses is being made. This includes plants, bushes and trees. Maps and list of uses is also being made for the plants that were in the existing “flower gardens” around the house. All plants have uses, and these plants are not only ornamental, but useful as foods, medicines, fiber, dyes, etc. Fruit trees and bushes have been procured. 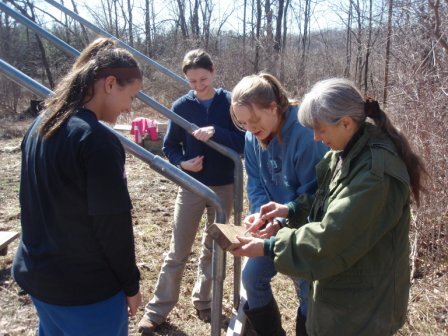 Teens help with greenhouse construction. 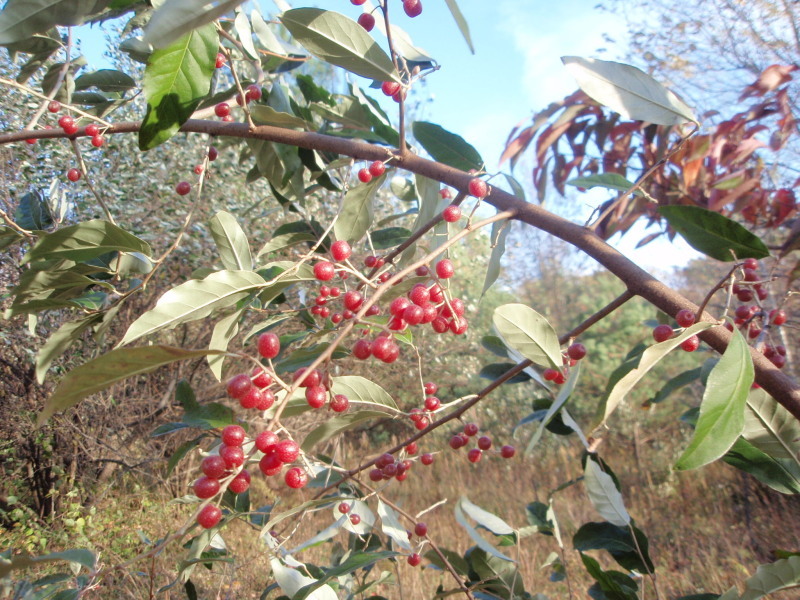 Autumn olive growing in the wild – lovely, edible, invasive.